Fall is right around the corner; leaves quickly change colors, crisp air settles in, and autumn crops arrive. There's no doubt about it, fall is a beautiful time in Charlotte, North Carolina. Take the upcoming new season as an opportunity to revamp your landscape. Below you'll find some tips & tricks we've found most helpful! Plant new trees, but don’t forget mulch. o Mild fall days in Charlotte, NC are a great time to plant new trees this allows them to become established before the cold winter. o Tip: When planting in the fall, mulch around the base of the trunk to add an extra layer of protection and moisture. Combat cankerworms you can’t yet see. o What’s your best defense against cankerworms that emerge in spring all over Charlotte and Concord, NC? Tree banding in late fall. o Tip: Wait until most leaves have fallen from your tree to apply banding; this way, leaves won’t fall and get stuck to the band itself. Time to rake those leaves. o Raking leaves from lying scattered on the ground is very beneficial to the overall health of the trees root system. Raking prevents the roots system from becoming smothered in turn causing long-term injury. o Tip: Keep an eye out for fallen fruit among fallen leaves; removing fallen fruit off the ground combats against pest infestation. Finally, say goodbye to pesky fire ant mounds. o Ants become more active in cooler weather this is one reason why fall is a great time to address those huge ant mounds in your yard. o Tip: Although more than one fire ant treatment is recommended, make sure to spread each treatment out by a few weeks. o In late fall, trees and shrubs have lost their foliage for the year and active growth has slowed. The roots of aged trees or shrubs take nutrients from the soil and apply them to their overall health including disease resistance and root development; this is why fertilization is sometimes essential to provide added nutrients to the soil. 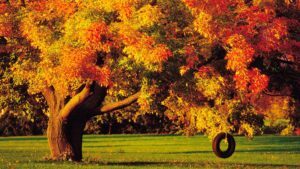 o Tip: Fall fertilization is not always recommended for every tree. 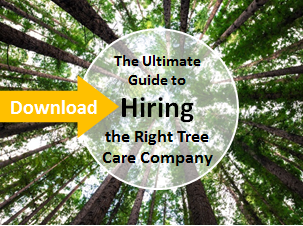 Consider consulting with an arborist beforehand. o Typically, in the fall, you won’t need to water your trees. However, once leaves have fallen, occasionally watering your trees is a good thing! Watering helps trees make it through winter droughts. o Tip: Right before the ground freezes stop all watering efforts.